Last week saw the first ever International Blind Dog Day and the RSPCA encouraged all dog owners with blind pets to embrace the day and celebrate their special and unique pooches. Wednesday (23 August) marked the first #InternationalBlindDogDay and the RSPCA is getting in on the act. This is my rescue boy Henry, who sadly passed away earlier this year. He wasn't completely blind, but he lost most of his sight. He was also completely deaf. He was remarkable and coped extremely well with the lost of his senses. 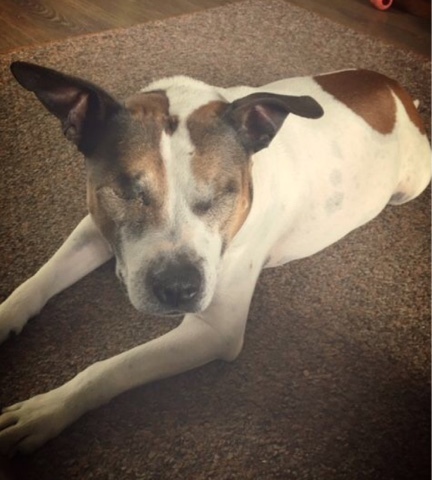 The International Blind Dog Day has been launched by Cambridgeshire dog-lover Sarah Horne, owner of 10-year-old blind Jack Russell terrier Shammy, who lost his sight due to untreated cataracts. 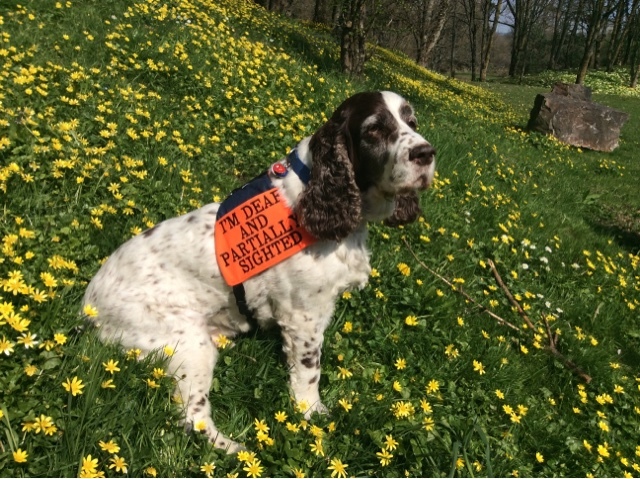 She said: “I wanted to raise awareness of blind dogs and dispel misconceptions around their abilities, for example when I first adopted Shammy many people asked why I'd get a dog I couldn't walk! Shammy, and lots of other blind dogs, run, jump, play and swim like their fully-sighted counterparts. “Many blind dogs are unwanted and end up in rescue centres such as the RSPCA and people will be put off rehoming them. Yes, they can come with their own issues and challenges but these can be overcome. The RSPCA - the UK’s largest and oldest animal welfare charity - rescues dogs from cruelty, neglect and abandonment and, sometimes, the dogs in our care may have serious, lifetime health complications such as losing their sight. At Derby RSPCA, staff have been caring for three very special pups - all with no sight at all. Angel, Leo and Lexie (pictured above) arrived with the branch from a breeder who couldn’t cope with them. Luckily, both Angel and Lexie have been reserved and staff are confident Leo will find his paw-fect match. 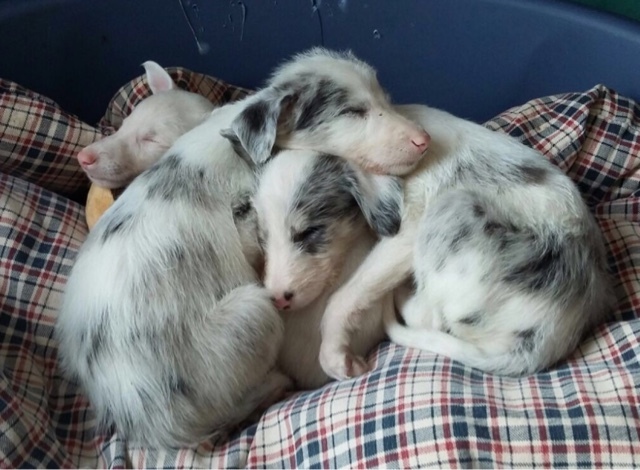 But this adorable trio aren’t the only blind pooches the RSPCA has helped. 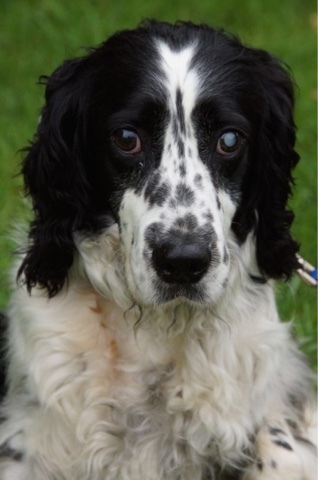 A blind springer spaniel who was abandoned - left tied to a pallet of bricks in Kent in 2015 - was rescued by an RSPCA inspector. Delphine was dumped in a remote lane in Maidstone in May and cataracts had left her virtually blind. Despite being safe and well-cared for Delphine did not like life in kennels and rarely wagged her tail. But the glum little dog’s life has been transformed after her story was spotted on Facebook by her new owners, John and Anne Hopkins. And she didn’t have to wait long to go off to her new life with the Hopkins’ in Wokingham, Berkshire. They use voice commands to help her up and down steps and have put mats around the house to signal when she is going into a different room. John added: “She has grown in confidence and finds her way around without a problem. She’s an absolute treasure, she lifts her paw up to let us know she wants a tummy rub. Poor Pooch had to have both of his eyes removed when he arrived into the care of the RSPCA in January 2016 after his neglectful owner had left him suffering with a congenital condition that had gone untreated for five years. Luckily, the Staffordshire bull terrier soon learned to get by without his sight and staff at RSPCA Block Fen, in Cambridgeshire, found him the paw-fect home. Pooch - now renamed Hooch - is now loving life with retired couple Tina and David Osler who admitted they hadn’t imagined they would adopt a blind dog - until they met the lovable 11-year-old. The couple, from Wisbech, Cambridgeshire, said: “He’s brilliant and has settled in really well. He’s coping very well without his sight too. He still bumps into things occasionally but on the whole he is brilliant, he’s adapted brilliantly.